and sometimes they even follow you home. That is fantastic, the perfect visual metaphor, and it works on all sorts of levels. Quite incredible, Thanks again for sharing these wonderful insights. This is a little creepy, now I feel like I'm being watched... but the pictures are really great. I may keep my eye out for eyeballs now. "Ok, the pics are great, and how you put them together is fascinating, but you seriously need an eyeball intervention ;)"
Ewww... the eyeballs are creepy! Eyes gross me out! You're not having an affair with an opthamologist are you? How visual are these pics..no pun intended? Fantastic! 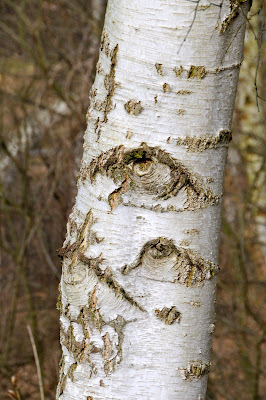 love the birch tree eyes !!! LOVE the car and the birch tree. I always look for faces so we must be thinking along the same lines... I am going to look for eyes now too.